Get Wisdom Talks About Work, normally $19, for just $12 today! Laziness... 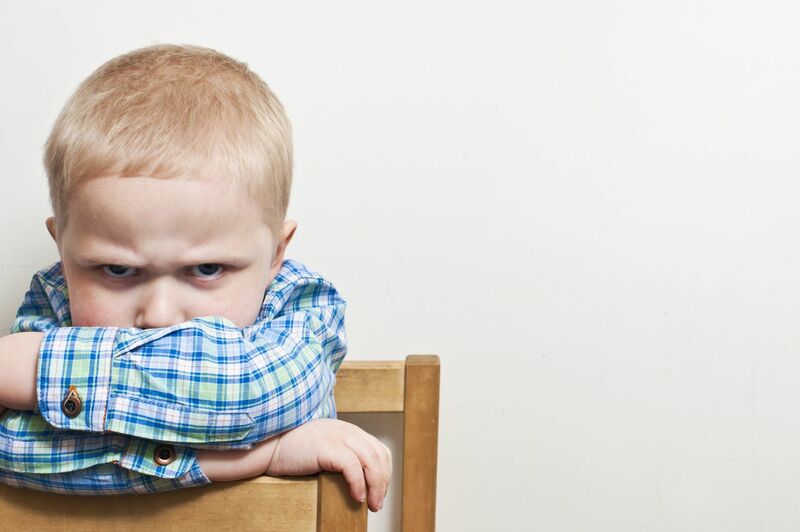 Complaining... Just barely doing enough to "squeak by"... Busybodies obsessed with making sure that all of the chores are "fair"
What if... you could watch God's Word transform your kids from complaining busybodies into kids who look for opportunities to serve others? 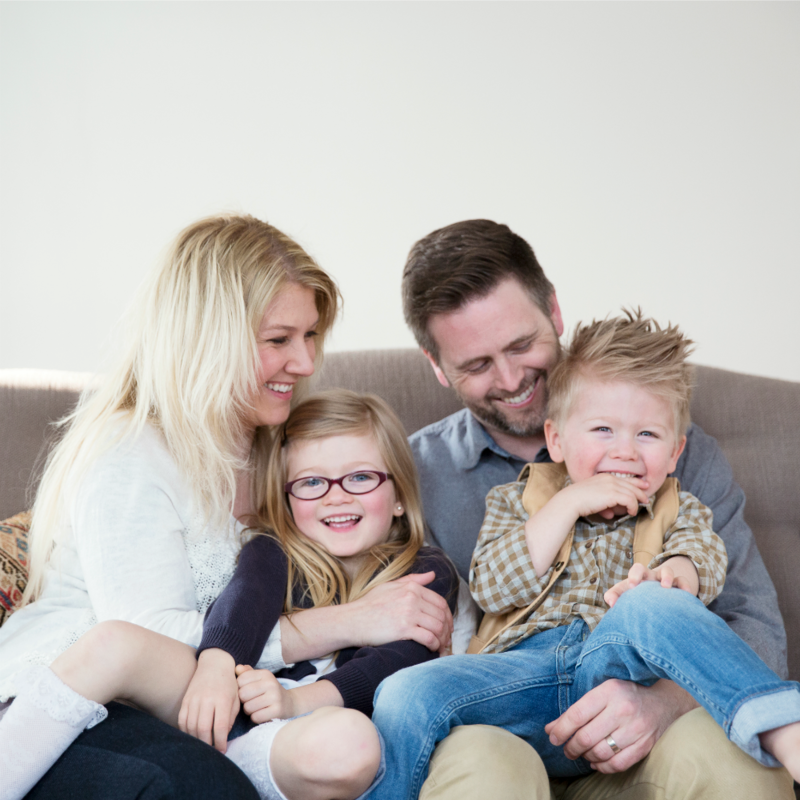 you could plant a seed of love for God's Word in your children's hearts that would last them a lifetime as you explore what the Bible says about work together? 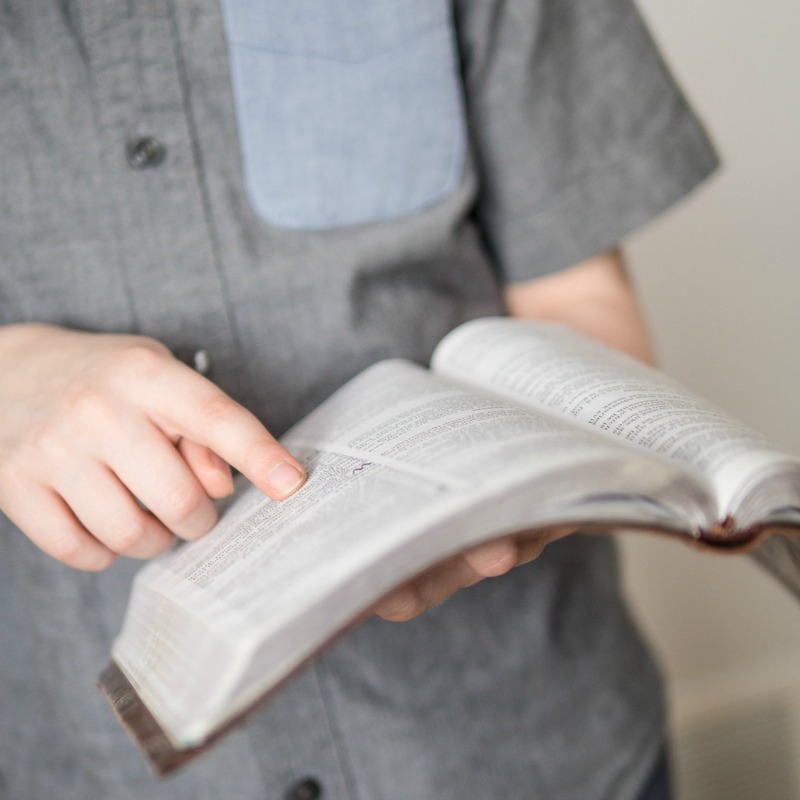 you could help your kids discover that the Bible was written for them and can help them work and live for God's glory right now? discussions about the Bible became so natural and habitual in your family that they happened often over the dinner table or in the car? You can start having life-changing conversations with your kids today as you explore God's Word together. 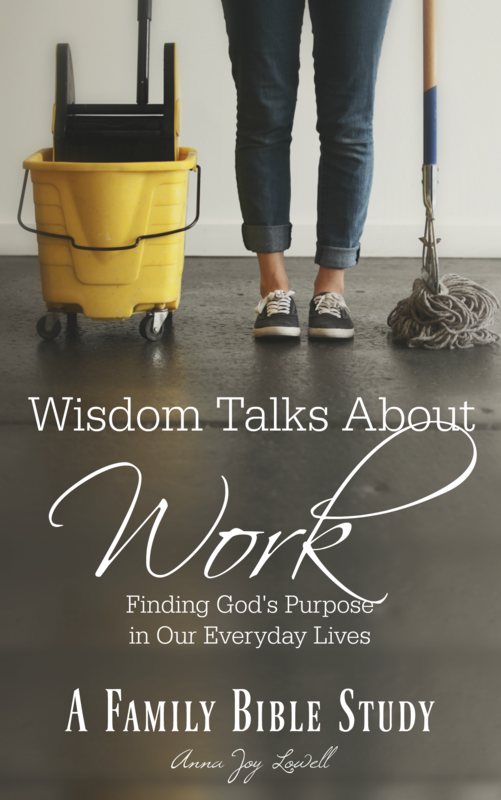 It's easy with the Wisdom Talks About Work Bible study. 30 Independent Bible Journal Pages in four different levels, featuring a variety of word games, tons of different activities, and thought provoking questions. These journal pages have got your covered, whether your kids are preschoolers, teenagers, or everything in between. Plus, the printable files can be used again and again! A Parent's Journal with even more questions, activity ideas, conversation starters, and prayer prompts to help you keep your kids on track. 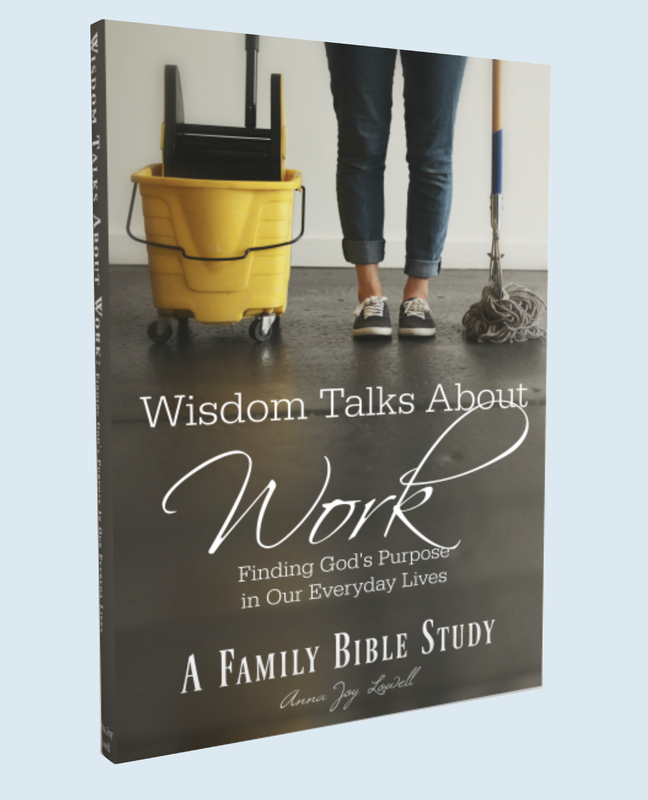 Whether you are looking for a simple way to encourage your kids to develop a personal habit of Bible reading, an enjoyable Bible supplement for your homeschool curriculum, or a thought-provoking study to help you explore God's Word with your family, the Wisdom Talks About Work Bible Study is the perfect resource. 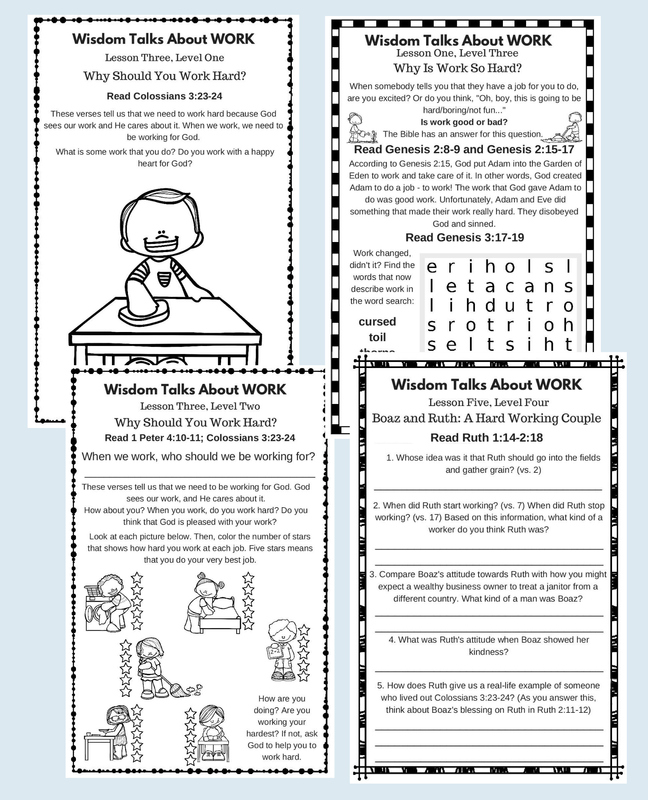 The downloadable pages can be printed immediately so that you can get started today!